The last time I wrote the word verdant I was speaking of my garden and all the possibilities when it grows with abandon in midsummer. 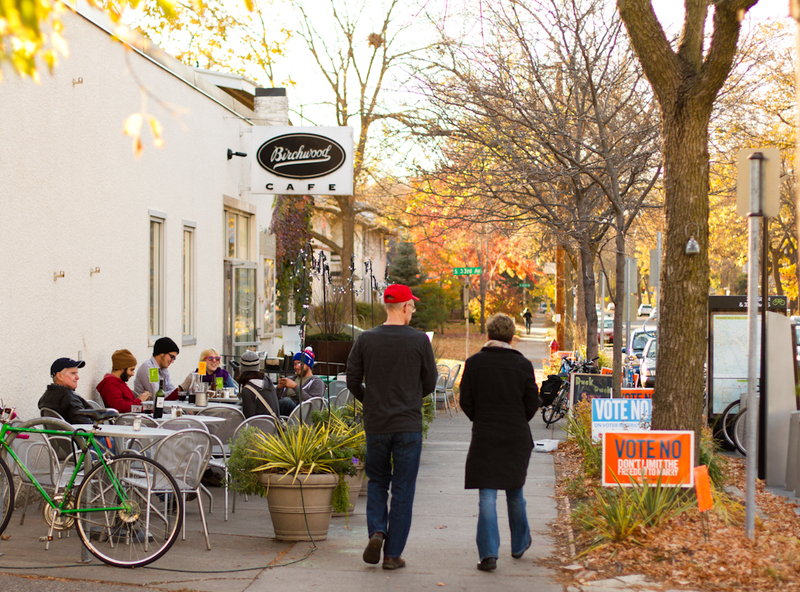 This time, I am referring to a place I heard on MPR about the growth of the Seward neighborhood for good food. We had a quick trip planned to Minneapolis so I looked up Verdant Tea. Intrigued by the elegant selection of offerings, we arrived for breakfast last Saturday morning. 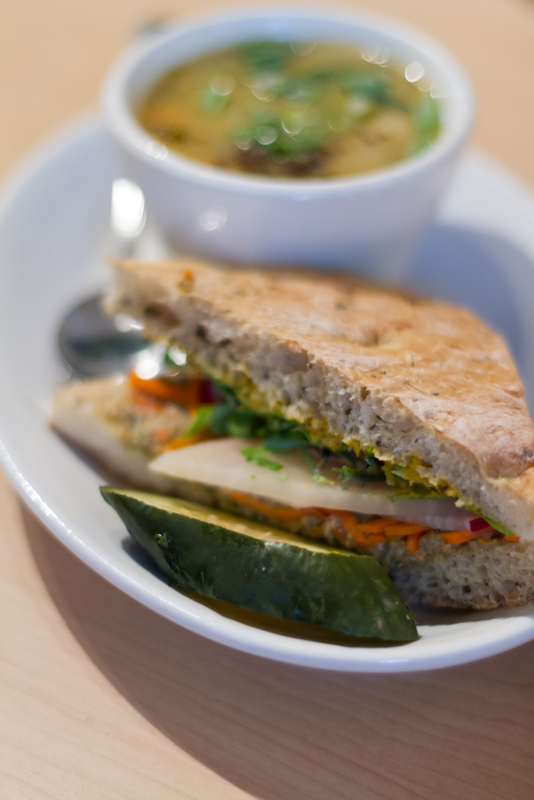 Verdant Tea does serve local food. 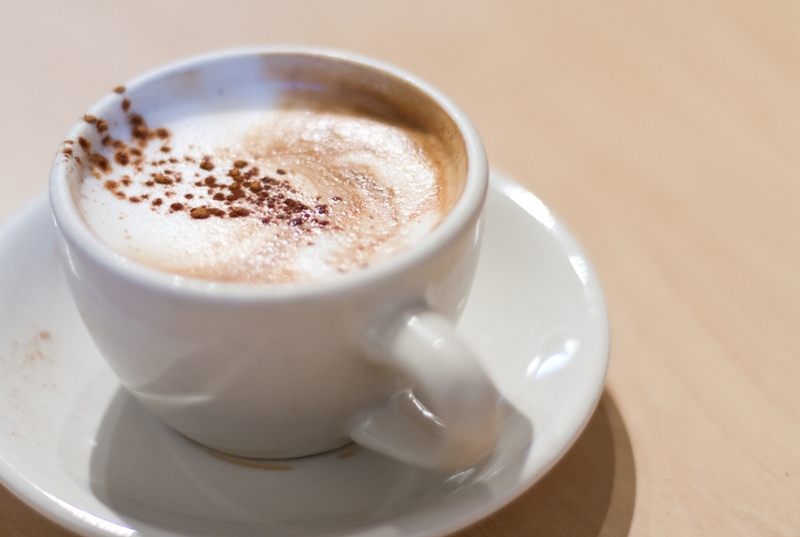 They have partnered with Birchwood Cafe which many readers will recognize from our past reviews. Verdant’s focus is on tea. They source their teas from small farmers in China. 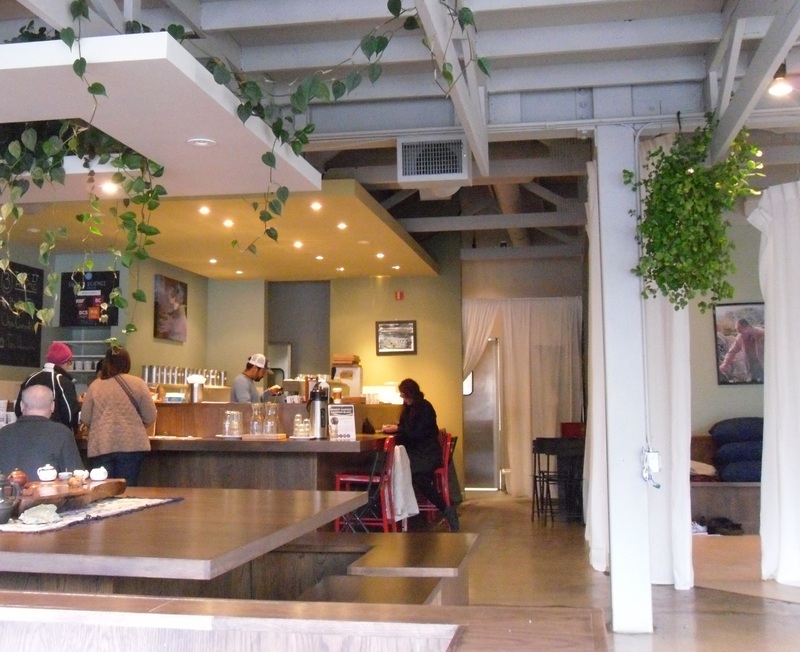 The business began as on online tea business and has now expanded to include the tasting room. We ordered chai tea and another kind of tea that we didn’t quite catch when it was given. Both were good, but the food was what we enjoyed most. 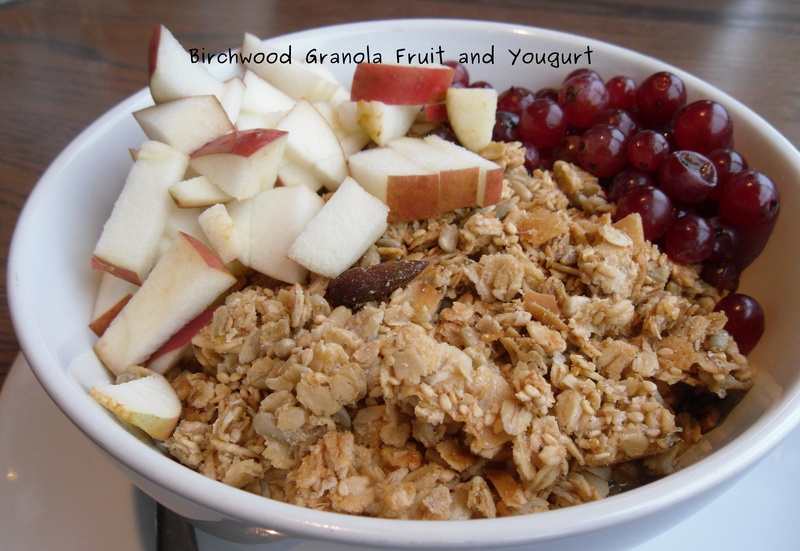 I ordered the sweet Congee, Steve had the Soba Noodles, and Luke ordered the Birchwood Granola with Fruit and Yogurt. 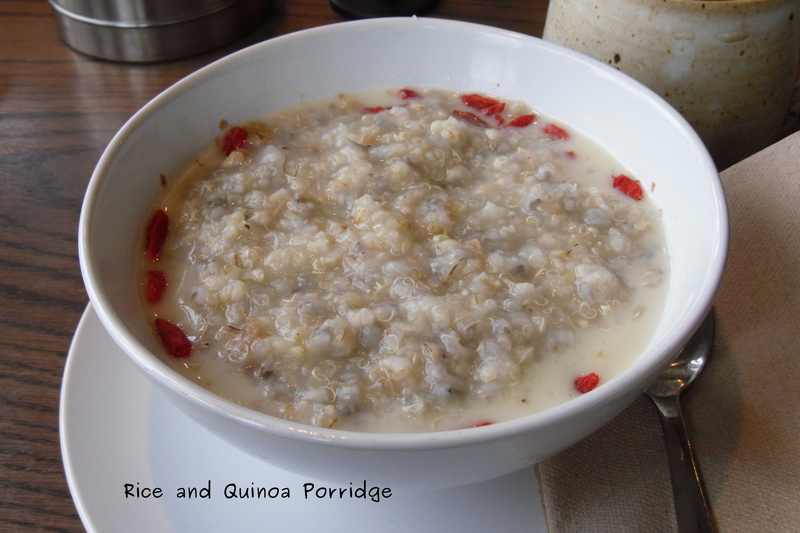 Congee is a porridge and the sweet version had wild rice, brown rice, quinoa, burdock root, gogi berries, walnuts, and a coconut ginger sauce. I was able to sneak a taste of the two other options and was equally impressed with both. The yogurt was excellent. It appeared to be the kind of yogurt one makes at home on the counter rather than the kind one dumps from a plastic container. The food was surprisingly good. Since it is a tea room that has food we were not really sure what to expect. We went hoping the food would be decent. It was stellar! We talked about it for days afterward and discussed how to recreate it at home. When we walked through the doors we were greeted immediately. The environment is serene and makes for a peaceful calm retreat or gathering place for quiet conversation. The staff was friendly but a bit more explanation about the options would have been helpful. They explained that they didn’t have tea flights at that time and they were in the process of changing their menu. Having owned a restaurant, I have sympathy toward the situation they are currently finding themselves but others might be more put off by that kind of response. I strongly recommend visiting Verdant Tea. I look forward to returning and learning more about tea next time I visit. In addition to partnering with Birchwood Cafe, they also sell Sweet Science Ice Cream. We heard about them last year at an event for new food producers. I look forward to trying some interesting flavors like salted caramel or toasted coconut. 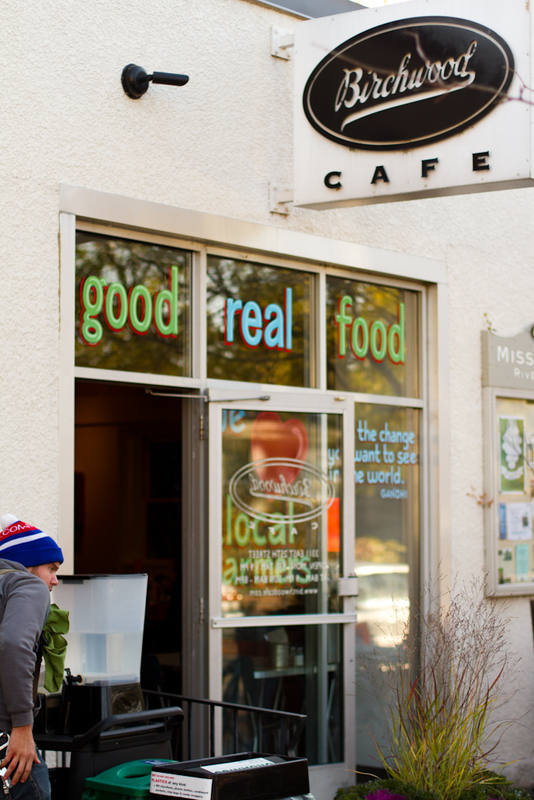 On Sunday Luke was filming one of his food videos at Eastside Food Cooperative and Steve and I went along for the ride. On the shelves we spied granola made by the Birchwood Cafe which reminded me that it was a place I wanted to review. After a bit of a drive we arrived in the Seward neighborhood and parked around the corner from the Birchwood Cafe, amid big trees and visually interesting homes. 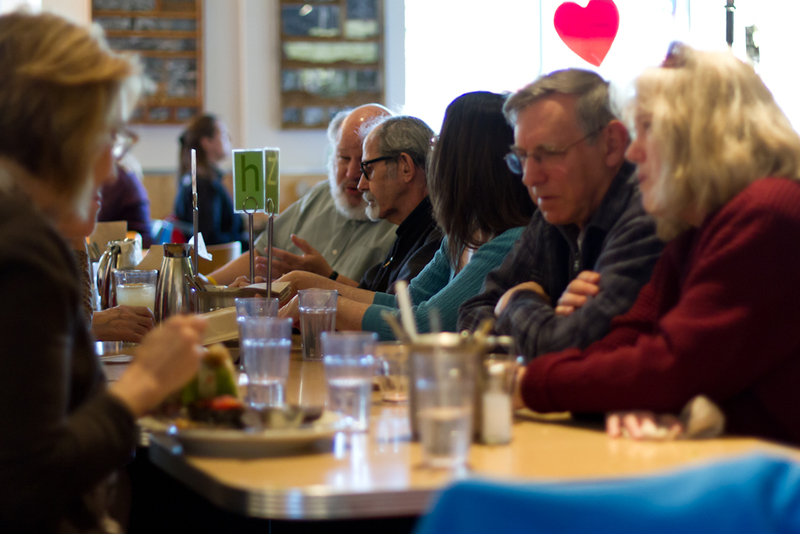 Yes, Birchwood Cafe does source their items locally and adapt the menu seasonally. They are fairly understated about this aspect of their business. For example, I didn’t notice the names of any specific farms on the menu. However, after I looking around the Web a bit, I saw their page on localharvest and it lists at least eleven farms from which they source ingredients. I have to explain, when it comes to flavor, we’re a bit discriminating. Steve and Luke have each attended classes at the Culinary Institute of America, and they both teach cooking professionally. When we eat out, we want our food to have complex flavors and crave it the next day unfortunately that rarely happens. We ordered three items. Luke and Steve had vegetable sandwiches with curry mayonnaise. This provided some complexity of flavor. The vegetables were delightfully fresh. The radishes, micro greens and carrots had the desired crunch but the dark bread was dry and lacked flavor. We all had the Vegetable Quinoa soup. It was a nice and hearty soup. Its broth had the distinct taste of chicken stock which wouldn’t quite work if someone was vegetarian. 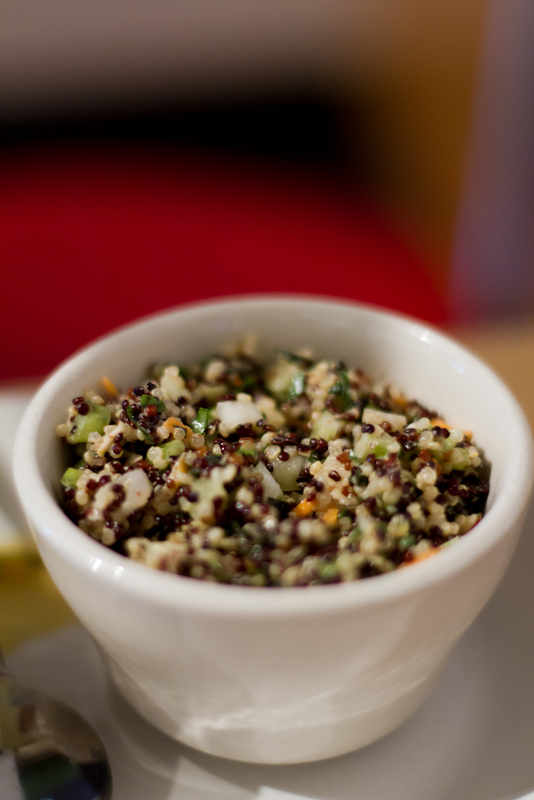 On the side, I ordered a Maple Mustard Quinoa salad; it was yummy and filled me up. Even though I rate the flavour as a three, to match our criteria, I would come back again to try other items. In the world of copycats and chain restaurants, it’s always a pleasant surprise to find a thriving independent restaurant, especially when the place is tucked away in a local neighborhood that non-locals have to discover or hear about. It was also nice to see several gluten-free options on the menu. All three of us were charmed by the Birchwood Cafe. We ordered first and then found a table amongst families of various ages who were enjoying a Sunday evening together. The tables were those chrome and laminate mix from the mid-twentieth century with colorful and funky chairs. The coziness came from the laid back approach to ordering and the art work on the walls. We each ordered a coffee drink that was nicely prepared by kind baristas; this also added to the sense of the comfort we felt. While walking to the cafe, I noticed that each house in the neighborhood expressed its political views with yard signs and a sense of design with unique landscaping and paint. As we walked closer, I saw bikes everywhere. I like bikes because their owners are saying, it is ok to venture forth into the world without the protective bubble of a car. This information told me something about the people who visit the place. 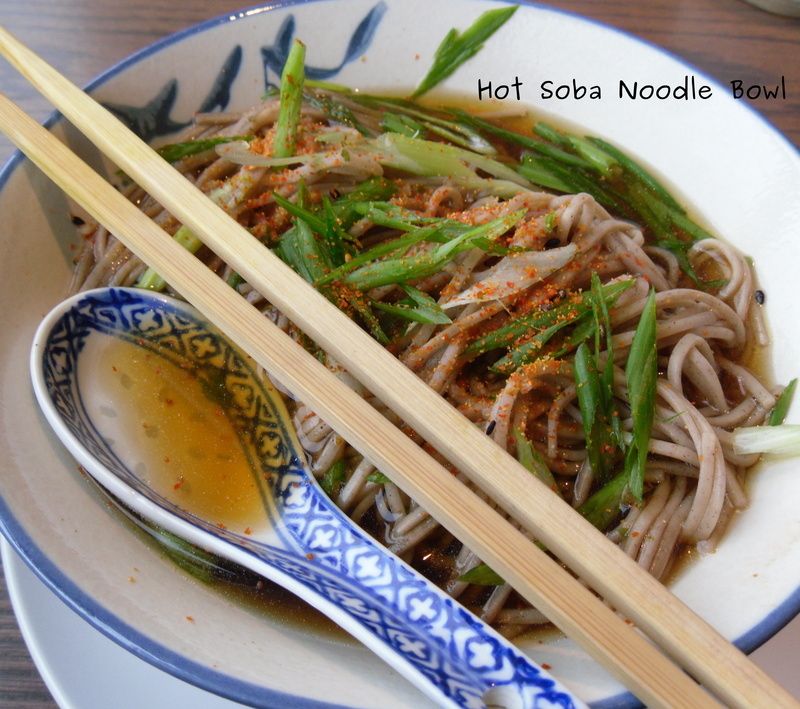 I love adventure and visiting a restaurant in a new neighborhood is like a mini-vacation with new sights and experiences free for the taking.We arrived with excitement and left with full bellies, yet light and not bogged down by heavy food or harsh service. If Birchwood was located in my neck of the woods, I’d grab my bike and head over there whenever I could.